My second entry in Cee’s Which Way Challenge. 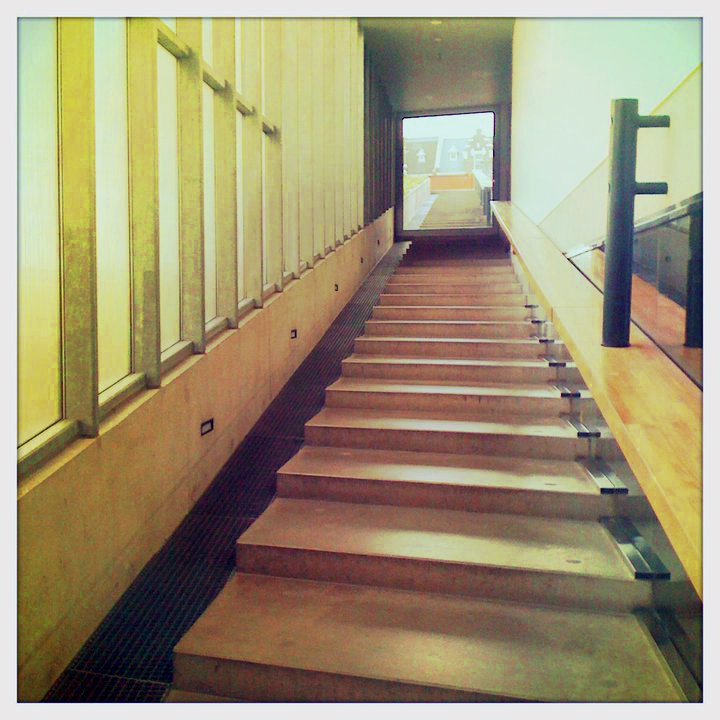 In the Rotterdam Kunsthal, a cubic build museum in the center of Rotterdam, leads a stairway seemingly straight into the buildings next door. Or straight into heaven ..
← Take us for a ride! Wonderful photo for the Which Way challenge. Thanks so much for participating.